On one hand I love the brand, I mean it’s the watch brand of James Bond and who doesn’t want to be like him and have all his skills. And on the other hand I am always up for new adventures and meeting new people. And I really wanted to feel and experience the spirit behind the brand. So, there is no better way to do that than spending a weekend together. And it was a weekend full of surprises and experiencing things I have never had before. 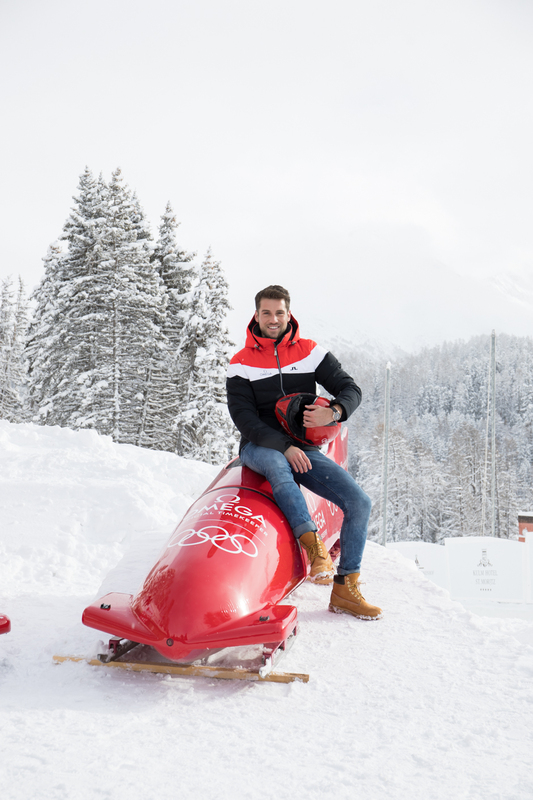 The only thing we knew before, was that it takes place the first weekend of February in St. Moritz. 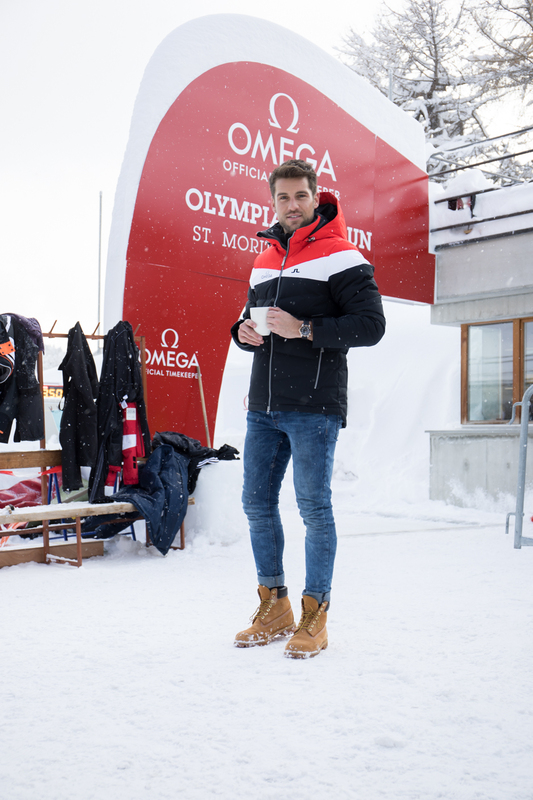 As closer we got to the weekend, we got informed to take warm clothes with us since we will do a bob run on the original olympic bob run in St. Moritz. What an experience, right? And they told us, that some more international stars and influencers will join the event but didn’t reveal any names. 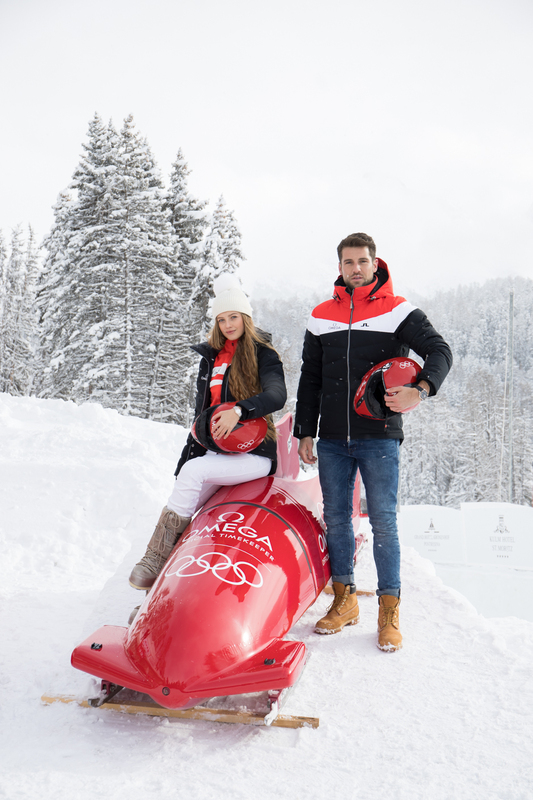 Arriving in St. Moritz we slowly got the whole picture of the guests invited. And it was a line-up of stars: the biggest and world famous blogger and fashion entrepreneur Chiara Ferragni from Italy, American-Polish actor and director Paul Wesley ("The Vampire Diaries"), Spanish actor Miguel Bernardeau (known from the Netflix series «Elite»), German TV presenter and actor Thore Schölermann with his girlfriend Jana Julie Kilka (actress and presenter), German model Franziska Knuppe and from Switzerland Christa Rigozzi (Model & TV presenter) and Zoe Pastelle (actress and influencer) and my little one. What an honor to be part of this group and spend an amazing weekend together. And the next surprise followed with Friday night’s dinner location. 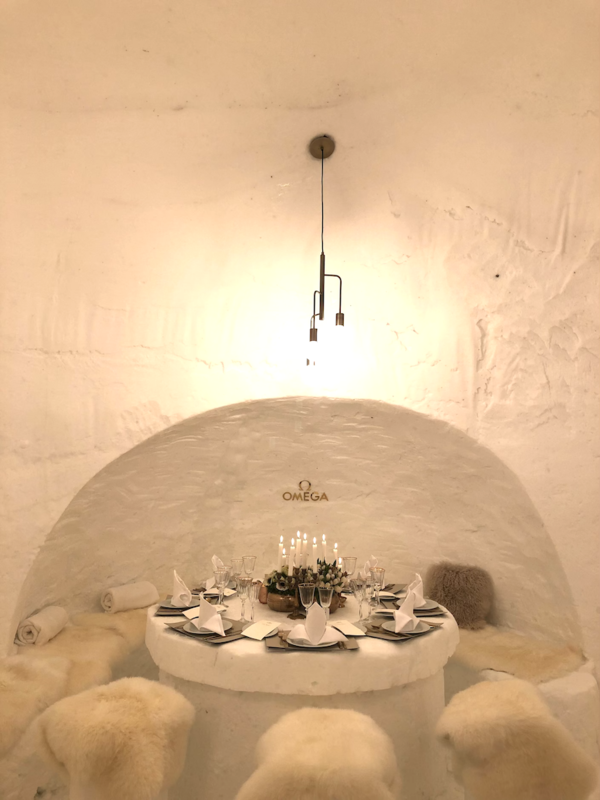 It was held a good secret until we trudged through the snow and arrived at the location – a real igloo in the middle of nowhere, just built up for our dinner. WOW! I was speechless and couldn’t find words to describe how beautiful this all was. It was so nicely done in every detail. 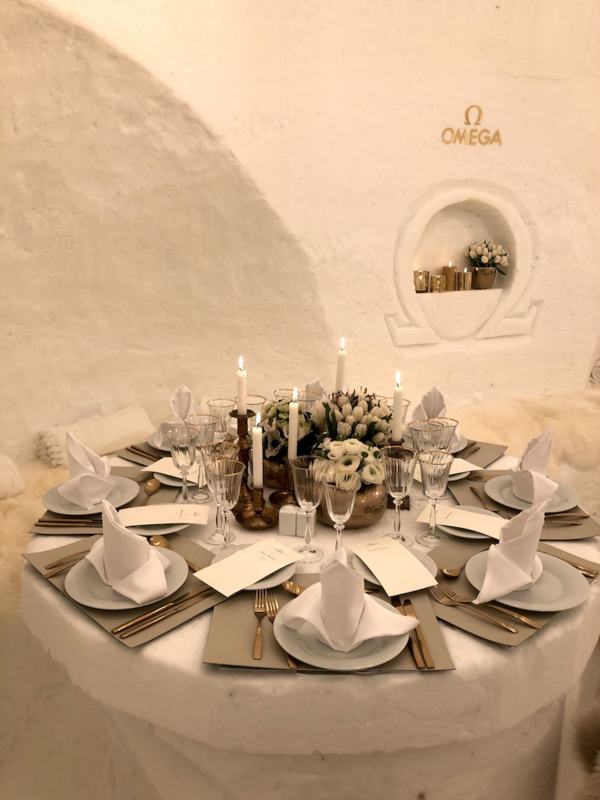 And I’ve never been in an igloo before nor had dinner in there. What an experience again! The next day was the day of emotion, speed and lots of endorphin. I had the chance to do a bob run for the very first time and it was crazy but fun at the same time. And it was faster than I expected. I mean, I am a roller coaster junkie but it was crazier than that. We rushed down with a top speed of 132 km/h at 5G force. Wow, that was an amazing feeling! 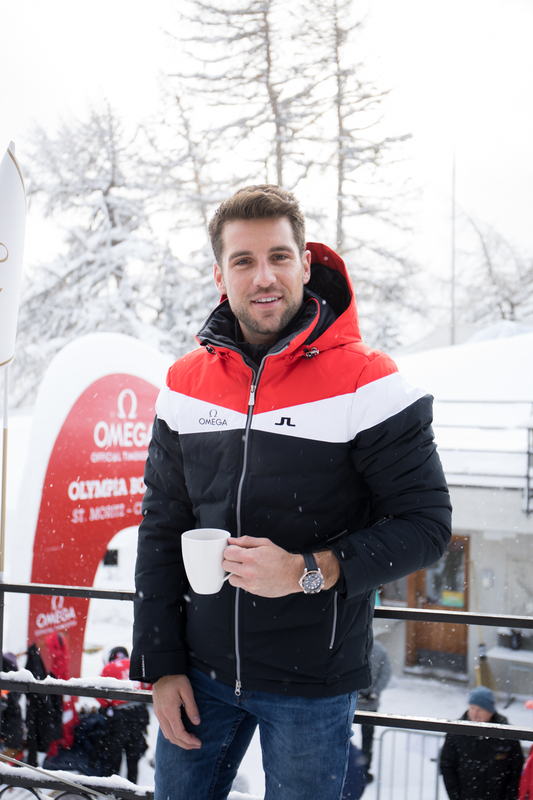 Continued by a relaxing horse sleigh ride to the lunch location for a typical Swiss meal and some spare time afterwards we met again in the evening for another dinner with the best company in another beautiful location. All in all a wonderful weekend to remember!